This week's pizza Sunday was a solo effort as Luke is still staying at the coast while he finishes up at his old job. I didn't want to make an entire pizza for myself so I bought some smaller pizza bases to stick in the freezer for this week and next while I'm without my pizza partner. 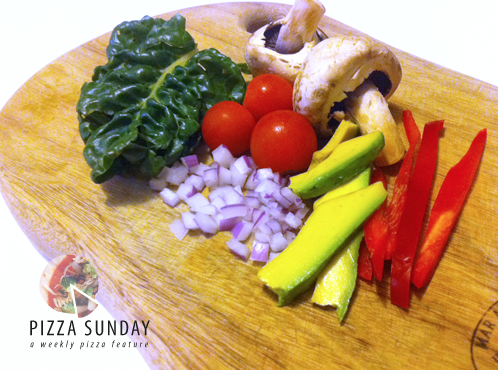 On my mini veggie delights I put spinach, mushroom, red onion, avocado, cherry tomatoes & red capsicum. 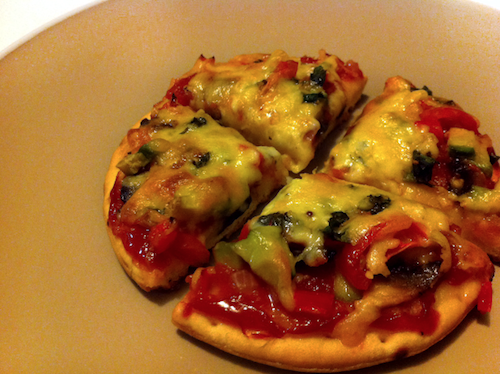 It was nice to just have a run of the mill veggie pizza. 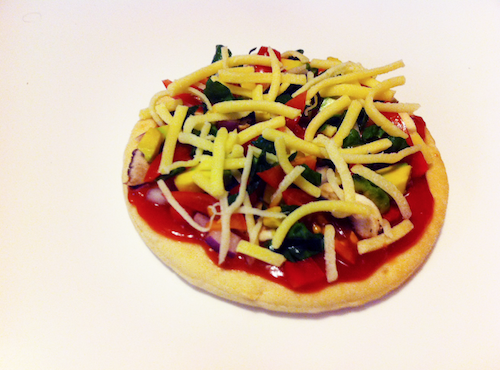 It didn't really look that appetising, but it was pretty tasty.